CALL NOW OPEN! The European project ASSEMBLE Plus has opened its second call for Transnational Access, where researchers can apply for support to conduct research at one of more than 3 marine stations distributed over 16 countries. This call will give the opportunity to gain access to a wide array of technologies and services in the fields of marine science. The TA funding covers travel, accommodation, access to labs, research services, and standard disposables (but not researcher’s salaries). In Finland, Tvärminne Zoological Station (University of Helsinki), the Archipelago Research Institute in Seili (University of Turku) and Husö biological station (Åbo Akademi University) offer access. Finnish researchers cannot apply for access to the Finnish stations, but are encouraged to apply for access to some of the other partner institutions. In this new call, applications can be submitted at any time. Applications will be evaluated in six rounds, with the next collection date being 28 September 2018. More information can be found here. Our new paper, where we investigated the effects of different environmental stressors on the lipid content of the northern Baltic Herring (Clupea harengus membras) was recently accepted for publication in the Canadian Journal of Fisheries and Aquatic Sciences. 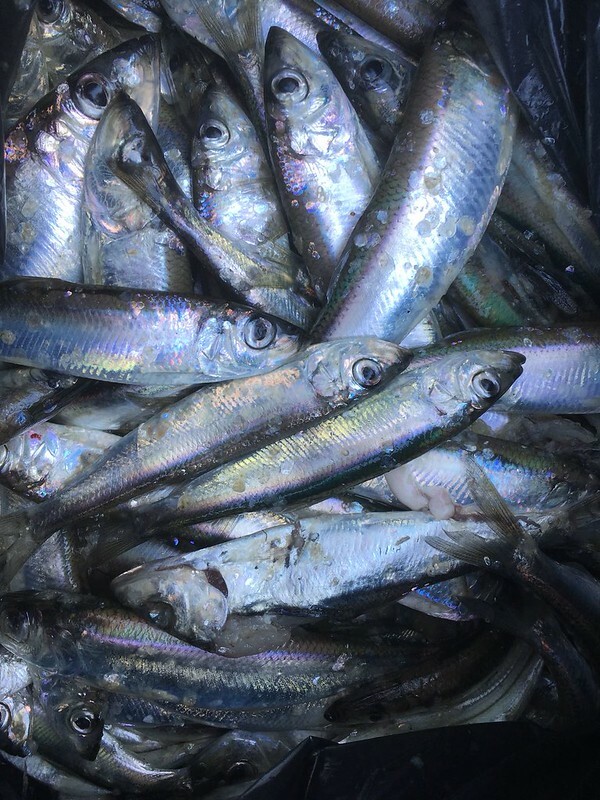 In this study we collected herring samples from local trap net fishermen during 1987-2006 and 2013-2014 and analysed their lipid content and fatty acid composition. We discovered that the average lipid content of herring muscle has decreased on average from 5-6% wet weight (w.wt) to 1.5% w.wt. 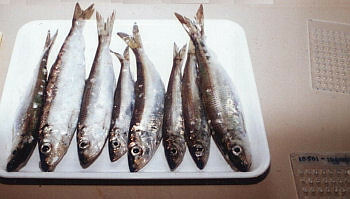 The decrease in sea water salinity and increased size of the herring stock explained best the declining lipid content. Also, sea water temperature during January-April also had a significant effect in our modelling. We estimated that the amount of the lipid storage incorporated in the spawning stock decreased by approximately 45% during the study, with respective energy content decreases. Fatty acid composition analysis revealed that herring lipids contained a high proportion of essential fatty acids EPA (20:5n-3) and DHA (22:6n-3), which likely originated from its main summertime prey, the freshwater calanoid copepod Limnocalanus macrurus – a zooplankton species that has become highly abundant in the Bothnian Sea. 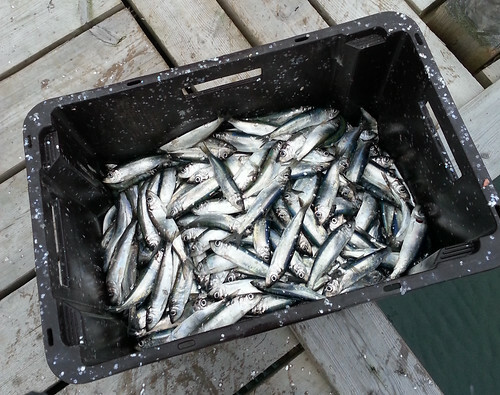 Global climate change can affect the energy content of fish by altering their lipid physiology and consumption.The results of this study illustrate that various climate change induced processes are leading to changes in the lipid content of the Baltic Herring and, consequently, to changes in the energy flows of the northern Baltic ecosystem.  In the Archipelago Research Institute, the reproductive biology of the Baltic herring (Clupea harengus membras) has been studied for over 30 years, since 1984. During the last few years we have discovered large amounts of parasitic worms in the body cavity of herring, collected from the Airisto Inlet. The phenomenon is new as no worms have been previously discovered in our samples. Dna-analyses conducted by the University of Eastern Finland showed that the parasitic worms are in fact two species (Corynosoma strumosum ja C. semerme), belonging to the phylum Acanthocephala. A new research project, studying the distribution and occurrence of these worms in the local herring, seal and great cormorant populations will begin next summer. Acanthocephala, also called thorny- or spiny headed worms, are commonly found in fish and seals. In Finland, 11 species are known to occur. The parasitic worms don’t infect humans. The Baltic herring is a safe and nutritious food fish and no cold treatment is required when preparing the fish. According to our preliminary studies, in 2014-2015, approximately 15% of herring in the Airisto Inlet were infected by the parasitic worms. Corynosoma-worms use herring as an intermediate host. The grey seal (Halichoerus grypus) and/or ringed seal (Pusa hispida) are definitive hosts for the Corynosoma –species. Of the two seal species, the grey seal is common in the Bothnian Sea and nowadays also in the Archipelago Sea. The steady increase of the grey seal population and its spread to the middle- and inner archipelago might have caused the parasitic infection in herring. The species C. strumosum has also been discovered in Great Cormorants (Phalacrocorax carbo). Therefore, it is possible that the bird species is also a definitive host as the increase of the cormorant population coincides with the timing of our findings. Parasitic worms may cause negative effects for commercial herring fishery. Therefore, it is important to understand the extent of the phenomenon and the causes behind it. The two-year study is funded by the Archipelago Sea Fisheries Action Group (officially Saaristomeren kalatalouden toimintaryhmä in Finnish). The research is carried out together with the Joensuu Molecular Ecology Group of the University of Eastern Finland. The project’s field work begins next summer. The aim is to chart the distribution and occurrence of the parasitic worm species in the local herring population. We will also investigate whether the Great Cormorant is a definitive host in addition to the grey seal.